In one of our recent blog posts at Idea Theorem, we talked about the increased importance of dashboard designs over the years and the dashboard design guidelines for great UX. 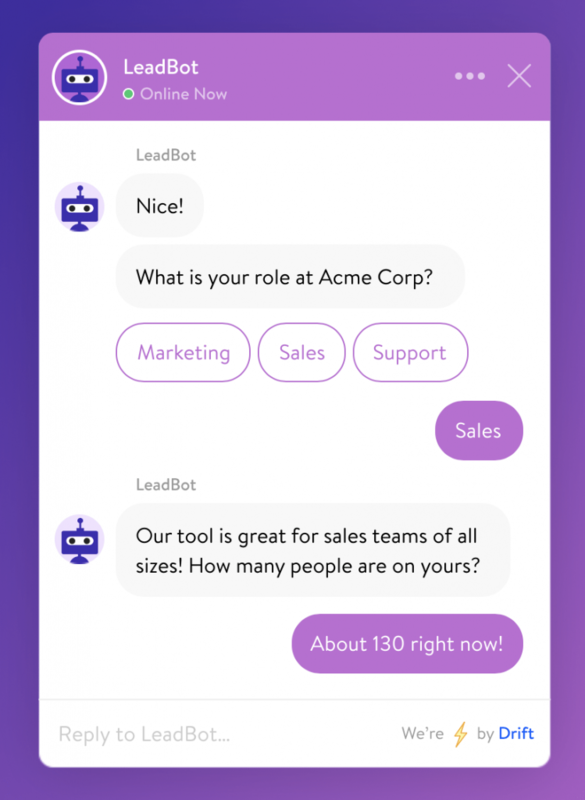 Most recently, conversational user interfaces (CUI) also known as chatbots has also been increasing in importance around the business industry. According to Oracle, a survey among 800 decision makers concluded that 80% of businesses are aiming to adopt chatbots by 2020. Chatbots are a conversation based interface, which allows users to engage in verbal or typed exchanges with a computer. Conversational user interfaces can be traced back to the late 1920s when the teleprinter first emerged. Throughout the 20th century, these machines were created to send and receive typed messages between human operators for business operations. Eventually, early computer systems adapted this technology to demonstrate the first forms of dialogue between a human and a computer. 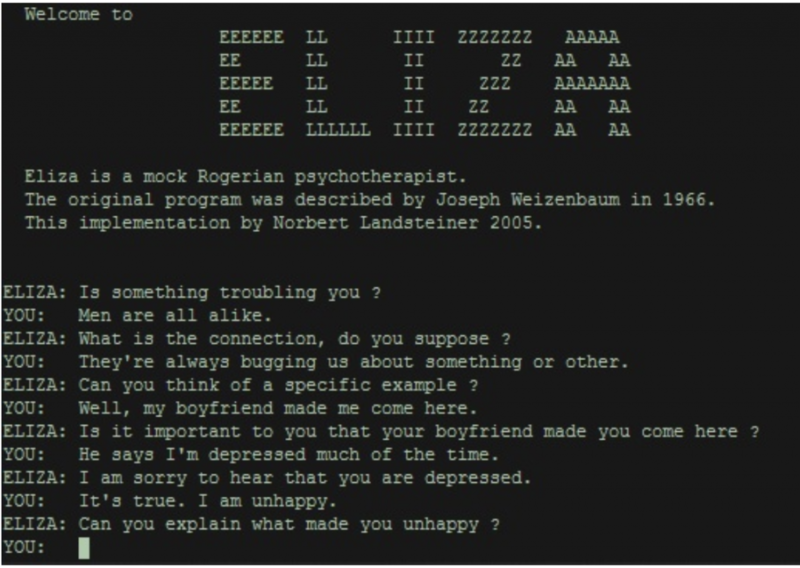 By 1966, Joseph Weizenbaum introduced ELIZA to become the world’s first chatbot to exist. Through pattern matching and script direction of MAD-slip, Weizenbaum found a way to let ELIZA receive input and output messages to its users based on pre-programmed messages and pre-set guidelines. The above image is taken from Wikipedia: ELIZA – Academics suggested that ELIZA had the capability to aid patients with psychological issues. 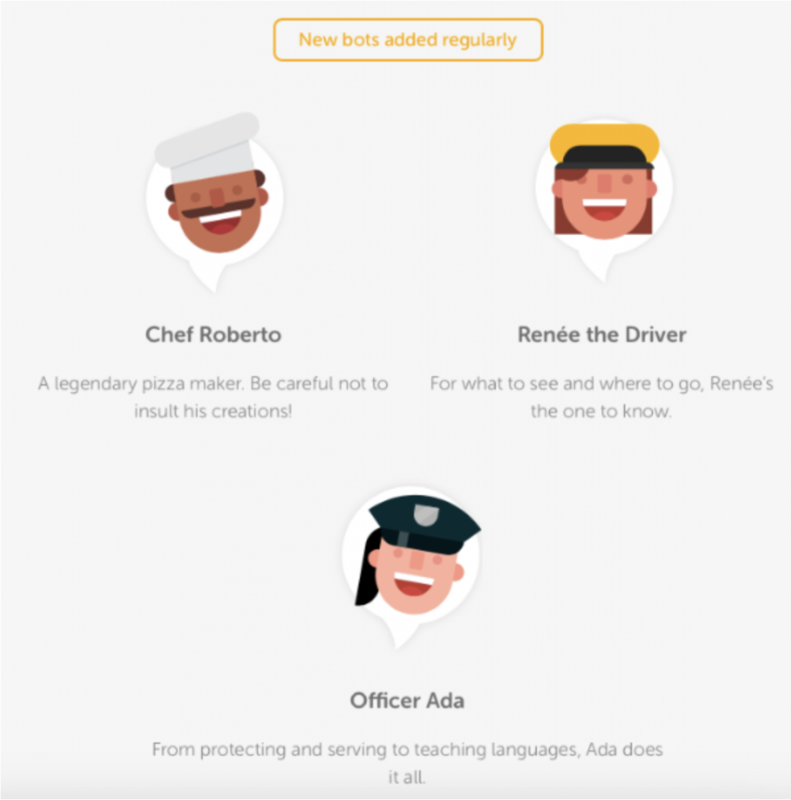 What Are The Chatbot Features? 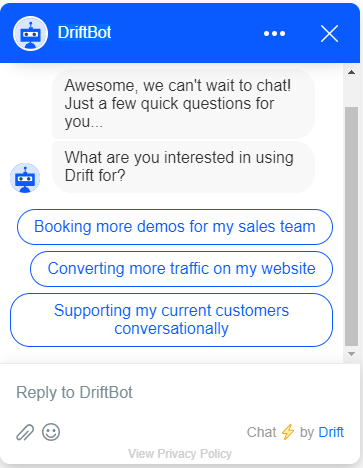 Image taken from drift.com – it demonstrates the ability to initiate a conversation while also recognizing that the user has been on the site before. This creates a more personalized experience. Chatbots carry unique features that demonstrate the ability to be task-oriented or undergo data-driven engagements. Some of these features included can assist you and your business, such as helping the customers with FAQs. With their machine learning technology and natural-language processing, chatbots have the ability to create a personalized experience. From the business perspective, this can result in a better relationship between the customer and the business. Additionally, chatbots specialize in 24/7 service and support. It means that the chatbots can initiate conversations to the welcomed customers and move forward to provide assistance. Here are some UI/UX tips and guidelines to follow to create a good conversational user experience for your business. In the current market, there are several chatbots that currently exist, each with a different set of functions. Some chatbots specialize in customer service, while others are meant for simple conversational interaction. Are you looking for assistance in the customer service department? Are you trying to increase your conversion rate? Do you need assistance in completing tasks? Whatever the reason, you must understand your need for a chatbot to fully utilize its features to your benefit. To maximize the use of the chatbot, it is extremely helpful to know how users currently manoeuvre their way around. A great way to do this is to understand customer’s journey. Learn more about customer journey mapping. How does your user move around your site/application? Are there areas that are lacking, which can leverage the use of a chatbot? What areas already work and how can you make use of this? How would you like your user to move around the site with a chatbot? Overall, this is important in chatbot heuristics which are good practices to follow in chatbot user experience (UX) design. Chatbots are used to aid your users through great user experience. Learn more about why UX is important. Tip 3: What Is The Purpose? Understanding the specific purpose of your Chabot can will help in defining what type of experience needs to be provided. This can guide you towards designing a chatbot that will create a more valuable experience. Some ways to establish this framework is research and activities to support ideation. Using collaborative activities can get the creative juices flowing to push for a more defined and meaningful understanding of its purpose. Another benefit to this activity is It can help seek insight into how conversations flow between the business and the customer. Introducing a chatbot to your business shouldn’t make the overall experience more complex or complicated. It is meant to assist and make the experience easier for the user and to also benefit you and your business. Understanding the overall user flow can outline the type of interactions that can unfold. A good tip to remember is to refrain from overestimating the capabilities of a chatbot. A chatbot has several features, but understand it carries limitations as well. For example, perhaps instead of typed messages, give the users options. Always create a clear and functional route for the user either move forward or restart. The flow must be orchestrated in a way that prevents a user from asking “what am I supposed to do?”. 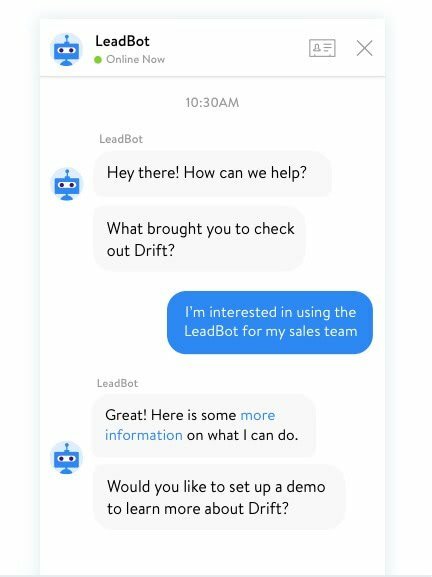 The image is taken from Drift – this chatbot demonstrates the ability to refresh and create a clear route for users to move forward easily. Take advantage of the chatbot’s feature to engage with users first. Start off with a welcome message that can attract users to interact with your bot. There is less of a chance that the user will willingly look and interact with a chatbot on their own. If the chatbot engages first, you will have a higher chance of repeated engagements. Taken from Drift – Quick to engage first and immediately offer assistance. Your chatbot is voice and representation of your business, carefully crafting a personality can help determine the overall experience it will providing to the customers. What type of vocabulary is normally used? What is an appropriate set of tone? Casual? Formal? Recognize the situation and environment. 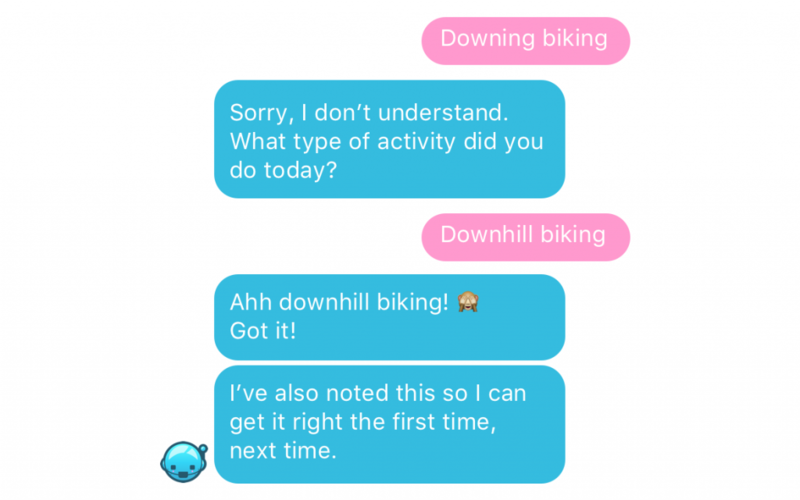 The image is taken from Duolingo – this app does a great job in introducing various chatbots with diverse personalities to give users a way to practice new languages. Playful? Serious? The chatbot carries a personality and most of it depends on colours, fonts, and overall design decisions. Using brighter colours can emulate a more playful personality, whereas, straight lines and more neutral softer tones can be more serious. Understand what the personality is and extend it to the appearance of your chatbot, make sure the style remains cohesive. This image is taken from Drift – The use of brighter colours can express a different feeling and vibe. Using animations can help avoid errors and promote more consistency. Use of animations can help user indicate that there is something in progress. This demonstrates clear communication between the user and the bot. Clear communication prevents users from assuming that the system doesn’t work. It help avert users from mistrusting the site and business overall. 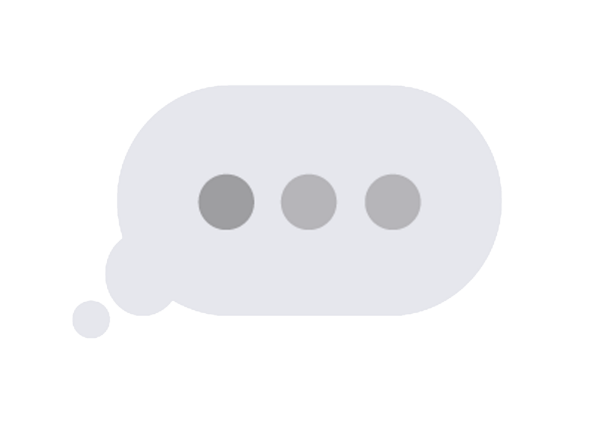 Example – typing bubble animation can help indicate that there is something in progress and not a dead end response. Understand that errors can occur. Although we want to limit as many errors as possible, sometimes it may happen. In addition to acknowledging that a failure has occurred, it is also good to think ahead and find a solution. A great tip is to think of different possibilities. This could vary from not being able to understand the request of the user to a simple typo. The image is taken from robotsandpencils.com- this chatbot demonstrates a great way on how to recognize and overcome typos or errors. Once your chatbot is all set and ready, the best thing you can do is test, test, and test again! Use different devices and try different possible routes of engagement.